BC Hydro awarded REEL COH with a significant contract for the design, supply, installation and commission of the powerhouse bridge and gantry cranes for the Site C Project. The scope of work includes two 320 metric tons capacity overhead bridge cranes, one 130 metric tons capacity headworks gantry crane and one 80 metric tons capacity tailrace gantry crane. 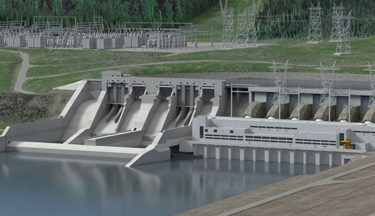 The Site C Clean Energy Project is a hydroelectric dam and generating station under construction on the Peace River in Fort St. John in northeastern British Columbia in Canada. Once built, Site C will provide clean, reliable and affordable electricity for more than 100 years to as many as 450000 homes a year. The dam is slated for completion in 2024.